US President Trump told the world his government rejects negotiations on the highly controversial TTIP (Trans-Atlantic Trade and Investment Partnership). Citizen groups and EU opponents of the Obama comprehensive trade agreement breathed a sigh of relief. Too little attention has been given to the agreement reached between Canada and CETA, the Comprehensive Economic and Trade Agreement (German: Umfassendes Wirtschafts- und Handelsabkommen), sometimes called the Canada-EU Trade Agreement. Secretly and behind any public open discussion, the largest global multinational corporations are moving the world closer to a top-down corporate dictatorship, a 21st Century version of Mussolini’s Corporativism. 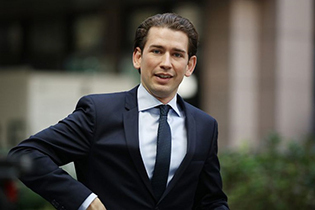 A major potential roadblock to CETA approval has now fallen in Austria under a new populist coalition government of Sebastian Kurz . Legally the CETA must be approved by the national parliaments in a majority of the 28 EU member states before becoming operative. Now it comes out that Sebastian Kurz’s populist Austrian coalition, after campaigning on a platform of NO to CETA and TTIP, secretly agreed late in 2017 to renege on their election campaign promises opposing CETA as a precondition for the refugee-critical conservative Austrian People’s Party (ÖVP) of Sebastian Kurz as Chancellor, to be able to form a coalition government with the right populist FPÖ. It represents a major betrayal of Austrian voters as well as of the future of EU sovereign national laws on environment, health and safety. But it gets worse. Pre-election polls showed that 72% of Austrians opposed both the TTIP and the closely-related CETA on grounds it would damage Austrian small and mid-size businesses to the advantage of global multinationals. Citizen groups gathered an impressive 562,000 signatures opposing both CETA and TTIP before the election. Only days following the election, on November 21, 2017, the FPÖ showed signs of retracting that opposition when they surprised voters and voted in Parliament in favor of the CETA’s most controversial proviso, the so-called the investor-state dispute settlement (ISDS) mechanism (German: Investitionsschiedsgerichten). That ISDS proviso allows Canadian corporations sue any EU government over any new law or policy that might reduce their profits in future such as a new German minimum wage law or stricter laws prohibiting toxic chemicals such as glyphosate or neonicotinoids. However, the Canadian company or investor in say, Germany, does not sue in a German court. They rather go to a special secret arbitration tribunal over which the EU state has no control. Opposition to the ISDS was a central platform of the Austrian FPÖ campaign before October 15. Most USA large corporations have subsidiary companies in Canada meaning CETA is a backdoor for the now-frozen TTIP with the USA. According to the September, 2017 joint study, CETA will “promote the harmonization of food safety standards to the lowest common denominator, and the weakening of the EU’s risk assessment standards for food products.” A horrifying example is the decision in March 2016, by the Canadian authorities to approve AquAdvantage Salmon, the first genetically modified animal to be approved for human consumption in the country. Canada did not require labelling. Under CETA now, unlabeled GMO salmon will be sold across the EU. That holds for other unlabeled Canadian GMO foods as well as industrial agribusiness products such as beef. With CETA, for example, current EU laws requiring Country of Origin Labeling for meat and fish could be challenged by Canadian agribusiness whose meat exports will now come almost tariff-free to compete with carefully-controlled EU meat products. Another proviso of CETA relates to reducing business costs and limiting regulation. This sounds , or? In reality it will mean stronger EU food and agricultural policies will be weakened under pressure from large Canadian-US agribusiness companies such as IBP or Cargill Foods. To date the EU agriculture associations have largely contained the economic cost-reduction pressure that has destroyed family farming smaller units in North America since the 1980’s and replaced it with cartel formations of giant food industry. Driven by US agribusiness lobbying at the USDA and Canadian Department of Agriculture, economies of scale in meat processing as an example have created documented horrendous sanitary conditions in giant processing operations that slaughter up to 1,000,000 cattle a year at a plant. Now with CETA, EU small farmers will simply be driven into bankruptcy as was done since the 1980s in North America. There the giant meat processing firms had 25-30% lower costs than smaller meat packing firms that were driven out of business. The creation of North American agribusiness, a major focus of the TIPP as of the CETA, involves the dramatic reduction of labor costs and speedup of the meat processing portions that are not automated. Work is not protected by trade union agreements, labor is mostly immigrant and largely illegal meaning they are vulnerable to threat from employers demanding longer hours and lessened safety conditions. North American slaughterhouse workers face conditions of speedup on the meat chains that they must cut and process that they have abnormally high rate of work-related injuries or nerve damage but the Government regulators turn a blind eye and the workers are mostly sub-minimum wage illegal workers from Mexico or Central America who have little recourse to change it. As I account in my book, Seeds of Destruction, the cartelization and vertical integration of agriculture in North America after World War II was a brainchild of the Rockefeller Standard Oil family, notably Nelson Rockefeller and a project they financed at Harvard Business School that created the term “agribusiness.” The countries of the European Union until today have largely defended more small-scale meat and food production by way of safety, health, environment and labor laws. With the flood of far cheaper Canadian (North American in reality) beef and other foods into the EU under CETA, European small scale, high quality agriculture producers will be literally slaughtered to the gain of mass agribusiness cartels that can now globalize in the all-important EU market as well. Now on May 16 the Austrian coalition parties, FPÖ and the ÖVP of Sebastian Kurz, turned on the voters and voted in the Council of Ministers in favor of approving CETA including with the controversial investor-state dispute settlement mechanism. It will now come to the full Parliament before Summer for a final vote where passage looks certain. The European Commission proposed the signature of the EU-Canada Comprehensive Economic and Trade Agreement (CETA) and despite need for national parliaments to ratify, CETA entered into force provisionally on 21 September 2017. National parliaments in EU countries have still to approve it before it can take full effect. With an Austrian coalition government, one that owes its existence to vigorous opposition to CETA and defense of the right of citizens to hold a referendum on it and other issues, now betraying that voter pledge and backing CETA, implications for not just Austrian citizens—farmers and all consumers—but as well for the quality of world food exports, the health of world eaters (I mean us all) is to undergo a dramatic decline at a time we can ill afford. Under CETA now the world food chain will face over the coming decade or so an overwhelming concentration of corporate agribusiness control that will combine the two great agriculture production regions—North America and the EU. That, if it is allowed, will be devastating.